TO MY BELOVED FRIENDS AND FANS OF MY BLOGS IN JAPAN !!! What follows for all of you is something I thought I would never get to or accomplish. But it is here at last finally. What a wonder. Today I am here on this Saturday, writing for all of you, as usual. But it is not usual. It is my TRIPLE SUPER BLOG: # 100. TRIPLE SUPER BLOG: # 100 : THE BEST THING !! Oh My Gosh! We are here finally! We have reached finally Triple Super Blog # 100. That is what I AM calling it. Triple Super Blog # 100. To come up with an idea for this week’s Blog, I had to think really hard. I mean really hard. REALLY because I knew that this was not going to be just an ordinary blog. It was going to be MY BIGGEST ONE YET. MY 100th BLOG. As the days went by, friends of mine who knew from me that I would be writing The Big One this Saturday kept asking if I had come up with an idea yet and I would have to say, no, not yet. And of course, they would try and help, coming up with their own ideas for me to use. And I would have to say, no, that’s not it. Finally they said, you’ll come up with it. And my friends were right because usually by Thursday or at least the latest, Friday, my idea comes. BUT this was Triple Super Blog # 100 and it was not until THIS MORNING, that my answer for my special Blog finally made its presence known to me. I would talk about my HOME. But just what would I say about it? I have written ninety-nine blogs about the many things I have done here and what has happened to me here. My memories of the Mainland while I have been here. All kinds of things. And naturally, and hopefully, there will be many, many, many, more. Especially now that I will be moving in a couple of weeks. Anyway, since this is my 100th Blog, I thought, well, I could make a list of the one hundred best things about Hawaii starting from number 100 on down and then I thought: NO. THAT IS NOT IT. And I found myself thinking again. Very Hard. Very, Very, Hard. Very, Very, Very, Hard. And then at last, it came. A big step like this begins with wanting to come here. People make the decision and then plan to come here. They save and save and save and save until they have enough money to come here. To me, I thought it was much easier. I had been watching the television show: Hawaii 5-0 every week for like ages even though I was not even twenty years old yet. I even had my bedroom done over to make it look Hawaiian. And beautiful. And then one Friday night after the show was over, I made up my mind. And told my Poppy and stepmother that I wanted to go to Hawaii. But already, there was a snag. My stepmother insisted, even before my Poppy said a word, that I COULDN’T go alone. SOMEONE had to go with me. I personally did not care for that idea but I went along with it because it seemed like this was the only way at the time, I was going to get to go to my dream place. And so it was back to my room and to watching my Hawaii 5-0 show every week. Then finally, it happened. In February of 1970, it was set up that I would go on a Hawaiian Vacation with a friend of my stepmother’s. Even my Poppy approved. THREE WEEKS IN HAWAII …….. WOW……….THREE WEEKS !!!! So, away the lady — my stepmother’s friend — and I — went. FIRST CLASS , naturally. And we toured and traveled to all of the islands. And at age 20, nearly 21, I was having the best time. Of course I thought Oahu was super great. My thoughts about Kauai, well Kauai was just SO beautiful. What I would give to live there. Then there was Maui. I have heard over the years that a lot of people like Maui. But at the time I went, I was not at all impressed with it. I thought it was a horribly stuck-up place that only the rich came to and lived in. I did not like Maui at all. And by the way, My Dear Ones, I still don’t . And then, we came to The Big Island, and Hilo, where, little did I know, I would be spending most of my life. When I got to Hilo, I found myself silently comparing it to Honolulu and Oahu. Except there was nothing at that time, to compare. Oahu and Honolulu were modern just like you would expect it to be. Beautiful buildings, beautiful everything. Whereas, Hilo, was laid-back and the last thing Hilo was was modern. The buildings were old and needed at least a good paint job. There were very few new things there. Especially in town. But for some reason, I liked Hilo, better than Maui and I thought probably in a few years, Hilo would turn out to be if not beautiful, at least pretty. I liked Hilo. Even when it rained. Then we went to the other side of the island, to Kona. It was hot over there and this Kona place which I disliked almost as much as Maui was HOT, HOT, HOT and like a mini-Waikiki in Honolulu. Once again, I found myself favoring Hilo, over Kona. I guessed it was because of those gentle rains we’ve got. Later on I would discover something else about Hilo that I liked about it. But right now, I was a vacationing tourist with a lady tagging along. There were a lot of pictures taken of us of course. Mostly of me and a lot of them with FRUIT. Especially papayas. (Little did I know that my future job would be PACKING THESE FRUITS). Just before leaving the islands, I did the I WISH thing. Making a wish and throwing my lei in the ocean, and hoping to come back to Hawaii. I do not think I was back at my Poppy and stepmother’s house five minutes before I said I wanted to go back to Hawaii. I missed it that much. But what was I supposed to know at age 20? The next couple of months passed and I finally turned 21. There was no big celebration or anything. My parents were sick and I was taking care of them. Yes. Both of them. I don’t think I ever did celebrate that Birthday. But time passed. My parents got “well” and I still wanted to go to Hawaii. This time to stay and make it my HOME. And so we worked toward that goal. At last the day of my Big Wish finally happened. My Poppy and stepmother, drove me to the airport on the 4th of September, 1970. I would not see them for almost 7 years but I would write to them. And I would return to see my Poppy just before his passing which would happen on the 26 of March, 1977. But I would not get to go to his funeral because my stepmother would write to tell me that she knew I did not have enough funds to return for it and so my Poppy had already been buried. I never got to say my good-byes to him. To this day, I do not know where he is buried. And he has never received as much as one flower from me on his grave. (Stepmother died in 1990)—13 years after him— on 7 December. ). I spent almost four years on Oahu and the rest of the time here on the Big Island and Hilo, where I met my late (second husband) Tony. Where I worked. And have had many Birthdays—-one of the BIGGEST ones coming up—and have RETIRED. But about Hilo………what do I like about it besides its gentle rains? Its Slowness. We may not be as pretty or as fast as Honolulu, Oahu, or Maui or even Kauai but we are okay. Even though we could see a lot more and better bus service. Its people. The people you make here as your friends, stay your friends, for life-long if you chose the right ones who are not fly by nights. They are kind, loving, understanding, forgiving, people. At least the ones I have are. There are all kinds of people here and if you are accepted as a friend by the Hawaiians as I have been, consider yourself very lucky. But in spite of the slowness,, the people, that is, some of them, the weather, the hurricanes, and the prices since everything has to be shipped here which I have long gotten used to by now the best thing about Hawaii is that I am not a TOURIST anymore. Unlike other people who come here for just a short time, like I once did a long time ago………….. 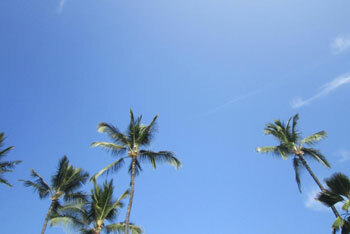 The best thing about Hawaii is…………..